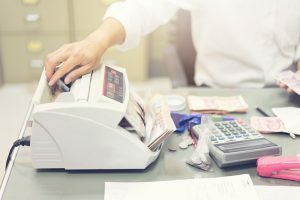 A mixed denomination bill counter is one of the indispensable machines especially with big businesses and banks that deals with international currencies. It is a machine that counts the value for different bills such as the dollar, Euro francs, and others. Apart from just counting and giving, the machine also helps the user to detect the presence of fake bills. In business, time is money. Any time that you waste simply means that you’ve been left behind and you may never catch up with the competition. Counting cash by hand is one of the ways that time is wasted in the business. But with a mixed denomination bill counter, you will take just a fraction of the time to finish counting various bills. Errors in manual counting are the order of the day. It is difficult to keep track of the count all the time. But with automation of the cash counting, the margin of error is negligible. In fact, with a quality mixed denomination bill counter, the error is zero percent. Therefore, the accuracy of the count is a guarantee. You can have the accurate cash data as it is. Counterfeit is prevalent, especially when dealing with international currency. That is why detecting fake currency is one of the benefits that the business enjoys by investing in a mixed denomination bill counter. The machine is designed with incredible technologies to detect even the highest quality of the bogus currency. Therefore, with these machines, you will never again have to worry about the fake currency finding its way into the business. Last but not the least of the incredibly high-level efficiency these machines offer to the business. They can reduce the workload in the business and streamline the issues of cash management. The number of workers in the business is reduced, and those who are left are fully engaged. Therefore, the business is able to run without any bottlenecks hence the high performance and productivity. These are four of the biggest reasons why investing in a mixed denomination bill counter is one of the smartest decisions that business can make.